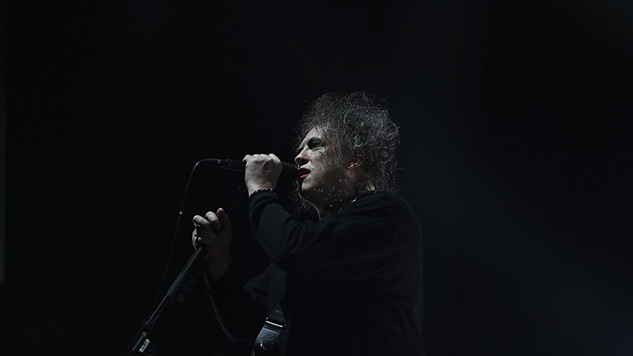 Shortly after The Cure were announced as one of this year’s Rock and Roll Hall of Fame inductees, frontman Robert Smith took to SiriusXM’s Debatable talk show to announce that the band is working on their first studio album since 2008’s 4:13 Dream. Smith said that his main motivation for getting back in the studio was seeing all the new bands at his annual Meltdown festival in London. “Primarily because of the Meltdown thing, seeing all these new bands inspired me to do something new,” Smith said. Although he had previously announced in April that his band would be booking studio time, it appears that the June festival gave him the creative kickstart he and the band needed. Listen to a 1984 concert from The Cure below and stay tuned for more on their new LP. You can listen to a clip from Smith’s interview here and see The Cure’s tour dates here.